Your home is ready for some Black and White Lighting Design, because we’re and ready to show you! DISCOVER MORE: DINING ROOM LIGHTING: COLOUR UP YOUR PLACE! Atomic Ceiling Light is here to bright up your home and he is the first of our list of Black and White Design Lighting. It has the perfect details to complete your interior design. Handmade in brass and steel by Portuguese artisans, Atomic ceiling light boasts an exquisite gold-plated finish on the body. Now in black, just like we’ve talked about! The two sides of the same coin! Atomic Ceiling in the dark colour, what do you think? 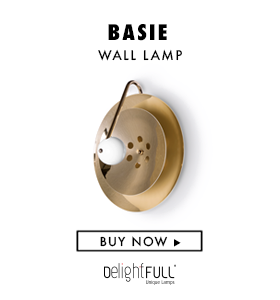 Such a magical light to have, it will give to your dining room that sober touch you may looking for. Charles has our heart for sure! In the colour white to match any style inside your home design. All of our lighting pieces are made with so much love and dedication, it’s almost impossible not to notice. The most usual way to see it is like this with a small touch of gold in it. It features 20 lampshades, all of them handmade in brass, with perforated details on the top. But, we love different things and different lighting. Coltrane Suspension is part of the old classics, with the utmost elegance and class that we searching for. This is what happens when we join two things, such as music and lighting. An example of how simplicity makes all the difference. We can conclude that every single lighting piece that we’ve seen here is customizable, which is very important because it gives you the opportunity to choose the colour and the materials you want for your Lighting Design!